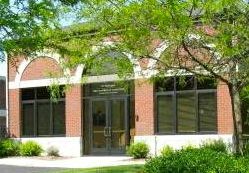 Howell Carnegie Library April continues our 15th annual Livingston Reads: One Book, One Community collaborative project. Throughout March and April, all six Livingston County libraries host themed-programming around this year’s book selection, Bill Bryson’s humorous travelogue A Walk in the Woods. Sticking with the outdoors theme from Livingston Reads, we’ll have a local Appalachian Trail thru-hiker speak about his experience hiking the entire 2,190-miles trail in 2012; an author and herbalist lead a spring foraging walk; and to finish off our Livingston Reads celebration, a showing of the film adaptation of A Walk in the Woods at the Historic Howell Theater–free your library card from one of the 6 Livingston county libraries. Join herbalist, forager, and author Lisa Rose on a wild journey to learn about local plants that can be used for food and herbal medicine. Come away with tips on proper identification, harvesting ethics, traditional uses, and recipes. Bring walking shoes; if the weather is favorable, the group will take a walk around the perimeter of the Library. Are your computer files disorganized? An organized filing system turns your computer into a useful tool rather than a clutter box. In this 101 guide geared for PC users, Soo Porter of Your Cluttered Space will share how to organize your files so they work more efficiently for you. While not a hands-on workshop, this presentation will arm you with processes for organizing files on your computer–and slaying the beast of digital clutter! or see the library’s website at www.howelllibrary.org.